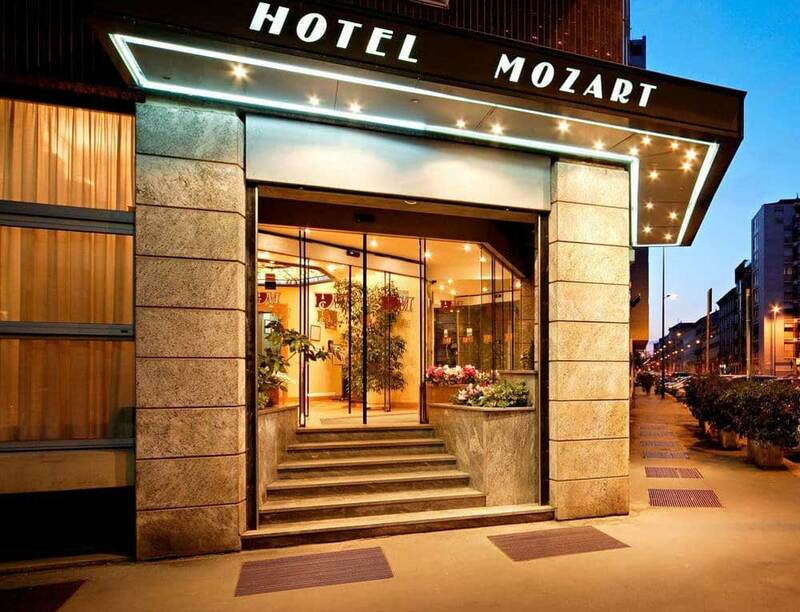 Hotel Mozart is located downtown Milan in a quiet and attractive neighborhood with restaurants, lounge bars, luxury shops, near Corso Sempione, the International trade Fair and within walking distance of tourist attractions such as “Castello Sforzesco” and “Parco Sempione e Triennale”. Tram or metro provide quick access to the Duomo, Basilica of Sant’Ambrogio and the main monuments and museums of Milan. 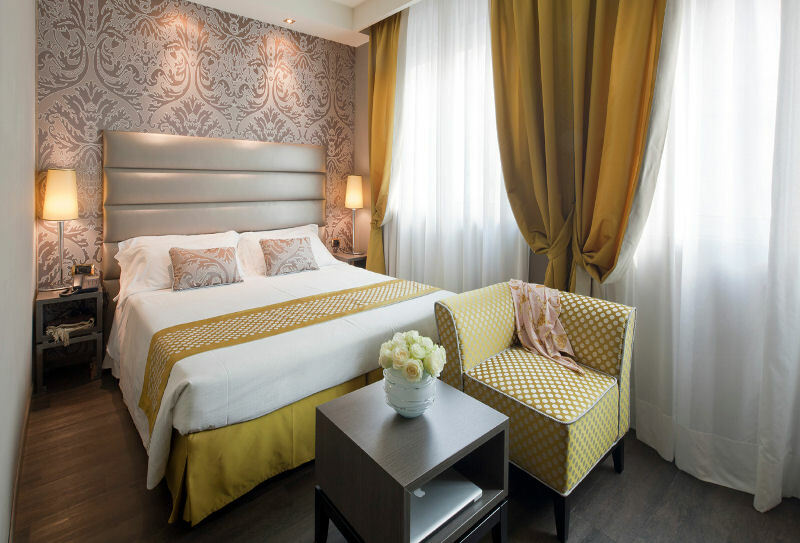 The interior of this 4 Star hotel is welcoming and comfortable, the common areas are decorated with stylish furniture, Art Nouveau windows and floral motif stuccos. In the American Bar you will have the opportunity to relax at the end of the day (17 PM to 1 AM). The breakfast room deserves special mention with its trompe l’oeil mural country scenes, every morning a rich breakfast buffet is served. The hotel has 120 rooms and luxurious suites with frescoed ceilings and bathrooms equipped with Jacuzzi.